Every band has an album that launches them into fame and remains iconic through the years. For Philly-area natives Daryl Hall and John Oates, that album was 1973’s Abandoned Luncheonette, the duo’s second studio album. Though they both were involved with other musical projects in the past, they met through fate at Temple University. The rest is history. I live about 15 or so minutes from where Oates grew up. We graduated from the same high school, and we both graduated from Temple with a degree in Journalism. I have been a fan of the duo all of my life, having grown up with their music and even seeing a workshop put on by Oates. I have seen Oates perform multiple times, both solo and with Hall. 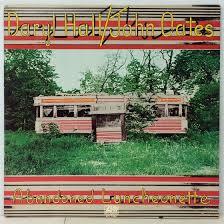 Abandoned Luncheonette includes hits such as “Las Vegas Turnaround” and “Had I Known You Better Then.” This album also features “She’s Gone,” which Oates still plays at all of his shows, whether he is performing solo or with Hall. He says he has played it at every show since the song’s inception. To this day, that song remains one of the duo’s most famous songs. Each of the album’s nine songs contains a song. “She’s Gone,” according to a story in Oates’ memoir, is about the time a girl stood him up. “Abandoned Luncheonette” talks about an actual luncheonette diner that existed in Pennsylvania, and the song talks about various characters seen there. The songs are also conversational as if the listener is having a conversation with the duo. Every song talks about a personal experience that occurred. While Hall often takes the lead vocals in some of the duo’s most popular hits, it is nice to hear Oates featured on quite a few of the songs on this album. His voice is so underappreciated, though he is more known for his songwriting, which also shines on this album. It is fascinating to hear how each of their voices has matured over the years while keeping the same excellent quality. This album proves that big dreams can come true, even for those who hail from small towns, and that even the most famous people have struggled with heartbreak and insecurities. Despite the fame, the duo always returns to their Philadelphia roots, which are highlighted in story and sound on Abandoned Luncheonette.